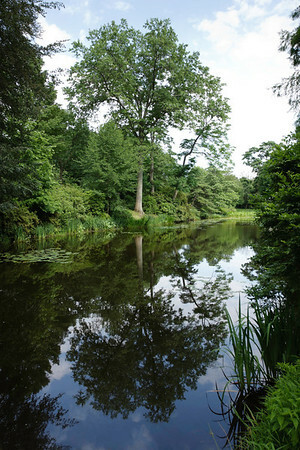 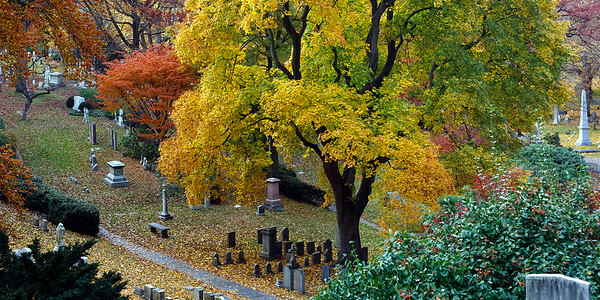 Several trees and graves in the Mount Auburn Cemetery. 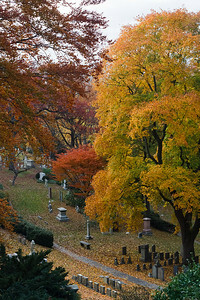 Graves in Mount Auburn Cemetery. 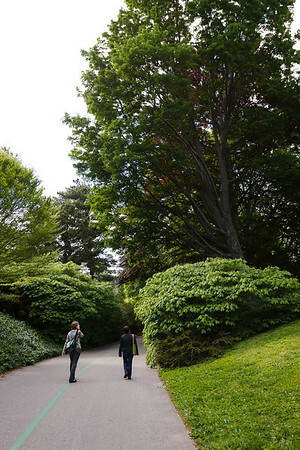 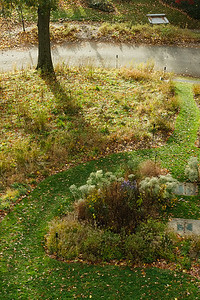 The late afternoon sun casts long shadows on a grassy path in the Mount Auburn Cemetery. 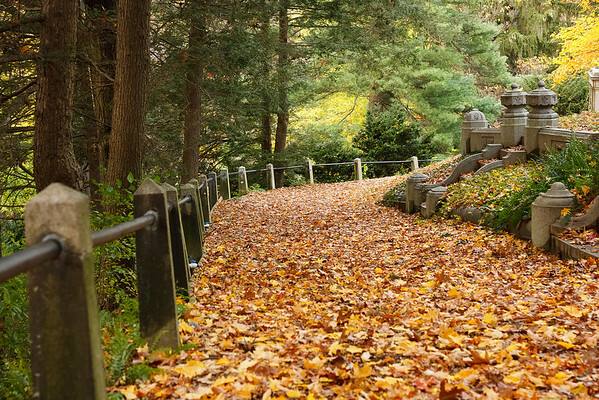 A path in Mount Auburn Cemetery, covered entirely by fallen leaves. 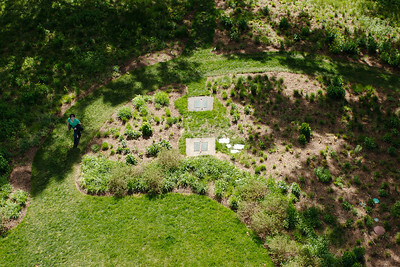 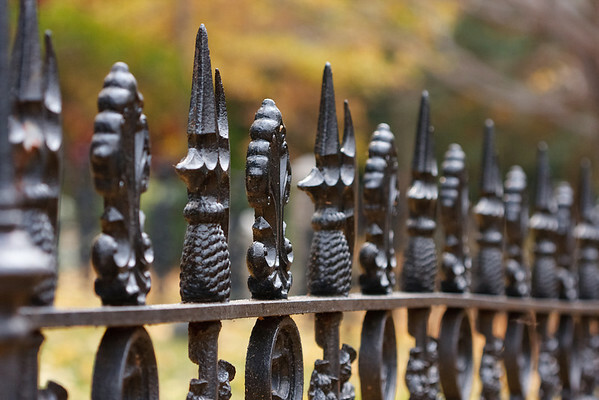 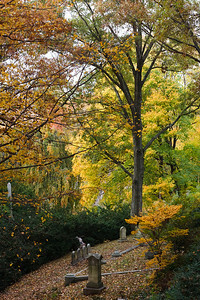 Looking down on several graves at Mount Auburn Cemetery. 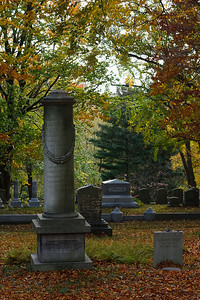 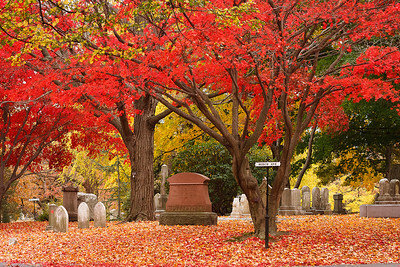 Various tombstones, surrounded by the fallen leaves of several types of trees, in the Mount Auburn Cemetery. 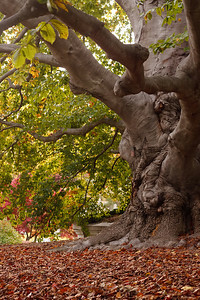 An old beech tree with a gnarled trunk sheds its leaves for winter. 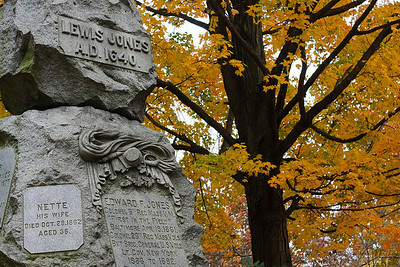 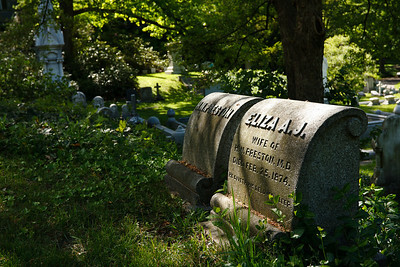 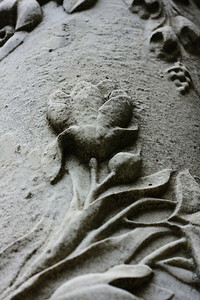 A monument marking a family grave plot in Mount Auburn Cemetery. 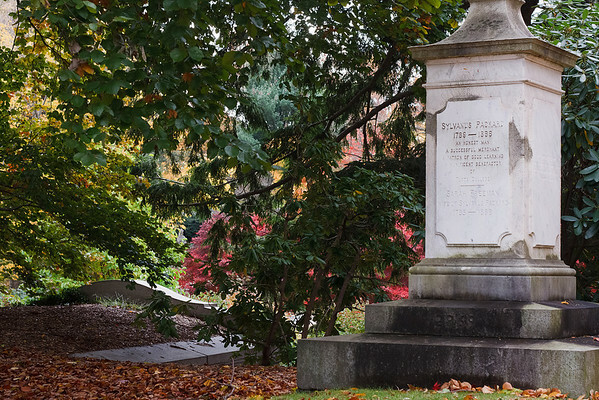 The grave of Sylvanus Packard, surrounded by foliage in Mount Auburn Cemetery. 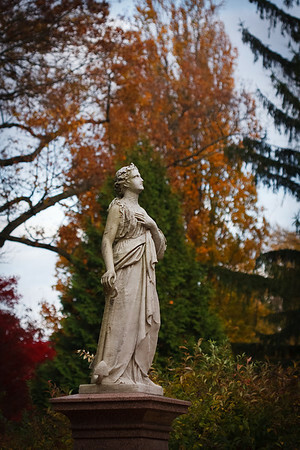 A statue of a woman marks a grave site in Mount Auburn Cemetery. 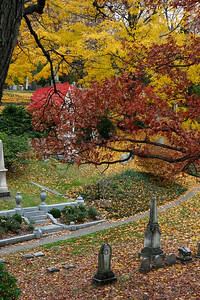 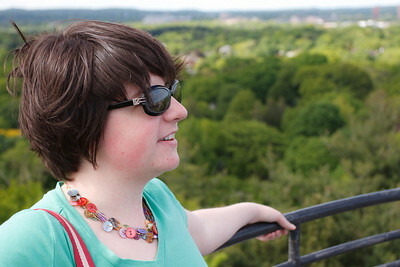 A panorama of ten individual photos, showing downtown Boston and Cambridge from Mount Auburn Cemetery.